מאגר טכניקות מחקר בתחומים ביולוגיה מולקולרית של התא, גנטיקה, ביואינפורמטיקה ועוד. ניתן לחפש במאגר לפי מילות מפתח או נושא והוא מכיל כלים כגון ניהול תיקיות אישיות ופורומים לדיון. This is an interactive source of new and classic research techniques. Protocols are presented step-by-step. The database is fully searchable by keyword and subject, and it has many novel features—such as discussion forums and personal folders. Its coverage includes cell and molecular biology, genetics, bioinformatics, protein science, and imaging. פרוטוקולים של ניסויים במעבדה מצולמים בוידאו. This is a peer reviewed, online journal devoted to the publication of biological research in a video format . This is a peer reviewed, online journal devoted to the publication of biological research in a video format, providing valuable professional information for laboratory scientists. The aim of the journal is to increase the reproducibility and the efficiency of research in the biological sciences. Also indexed in Pubmed. Nature Methods is a forum for the publication of novel methods and significant improvements to tried-and-tested basic research techniques in the life sciences. This monthly publication is aimed at a broad, interdisciplinary audience of academic and industry researchers actively involved in laboratory practice. It provides them with new tools to conduct their research and places a strong emphasis on the immediate practical relevance of the work presented. Welcome to Protocol Exchange from Nature Protocols. The Protocol Exchange is an open resource where the community of scientists pool their experimental know-how to help accelerate research. Discover the protocols, share a protocol, join a lab group, comment on protocols, organize your favorites and personalize your experience. מאגר נתונים של פרוטוקולים מחקריים במגוון נושאים בתחום מדעי החיים.המאגר מכיל פרוטוקולים שנתנו ע"י חוקרים מרחבי העולם. Protocol Online is a database of research protocols in a variety of life science fields. It contains protocols contributed by worldwide researchers as well as links to web protocols hosted by worldwide research labs, biotech companies, personal web sites. מאגר פרוטוקולים במדעי החיים ובביו-רפואה המכיל למעלה מ-18,000 פרוטוקולים. כמה עשרות בחינם. Electronic database of reproducible laboratory protocols in the Life and Biomedical Sciences. Some ar free. The collection of chapters in this eBook is written to provide guidance to investigators who are interested in developing assays useful for the evaluation of collections of molecules to identify probes that modulate the activity of biological targets, pathways, and cellular phenotypes. These probes may be candidates for further optimization and investigation in drug discovery and development. Contents: Volume/weight measurement -- Concentration measurement -- Reagent preparation -- Cell culture techniques -- Sample preparation -- Chromatography -- Electrophoresis -- Blotting -- Microscopy -- Enzymatic reactions. Committee for the Update of the Guide for the Care and Use of Laboratory Animals. Division on Earth and Life Studies. and the health care professions. 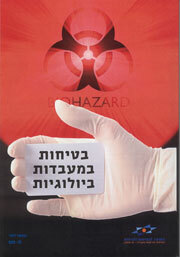 The Laboratory Biosafety Manual provideד practical guidance on biosafety techniques for use in laboratories at all levels. 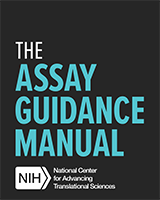 The manual now covers risk assessment and safe use of recombinant DNA technology, and provides guidelines for the comissioning and cetification of laboratories. Laboratory biosecurity concepts are introduced, and the latest regulations for the transport of infectious substances are reflected. one. Visitors can browse the offerings here by topic or search all of the labs for specific details. Bioshare- an email based platform to share reagents/plasmids/cell lines/protocols etc.. among researchers in BGU. LabArchives is a leading Electronic Lab Notebook (also known as an ELN) that is used by scientists throughout the world to store, organize, share, and publish their laboratory data. It is web-based, or may also be installed on a local server It is easy and intuitive, yet very powerful. And it is affordable. LabArchives: for the smallest laboratory or the largest institution. הבלוג נכתב ע"י עובדי Labguru, עריכת התוכן בידי חן גוטמן. בבלוג טיפים למתעניינים בחיי מעבדה, מחקר וכתיבה. Labguru, an online research management product, streamlines research logistics and knowledge management for life science laboratories. Labguru helps you plan experiments, track progress, and get results. It enables research continuity, understands the connection between different research entities, and tracks research materials, documents, biological collections and much more. LabWrite is an online resource designed to help students take full advantage of one of the most important activities for learning in the sciences—writing good lab reports. Writing good lab reports helps students learn the science of the lab and improves their ability to think scientifically. As a lab instructor, however, you have a lot of other things for you to attend to: preparing your labs, making sure students can use lab instruments, helping students gather and manage lab data, and maintaining a safe lab environment. Given all these tasks, it may be difficult to give the necessary attention to teaching lab reports. LabWrite provides the teaching tools you need to help your students benefit from the learning potential in writing lab reports. And because LabWrite is online, students can use it when they need it most. But LabWrite is not just about writing lab reports. It shapes the entire lab experience as a learning experience by structuring each lab into the four stages that provide the foundation for the students’ web site: PreLab, InLab, PostLab, and LabCheck. Use the search engine to find antibody suppliers for thousands of specific antibodies. Plus locate sources for ELISA assay kits, cytokines, enzymes, recombinant proteins, siRNAs, tissues, organs, custom antibody services and more. and more than 240,000 listings of other products and services available from hundreds of different commercial and governmental sources worldwide, and more are being added each week. Connect directly to the companies and institutions that carry the products and services you need.